Discussion in 'Google TV General Discussion' started by sparkyscott21, Jul 24, 2013. 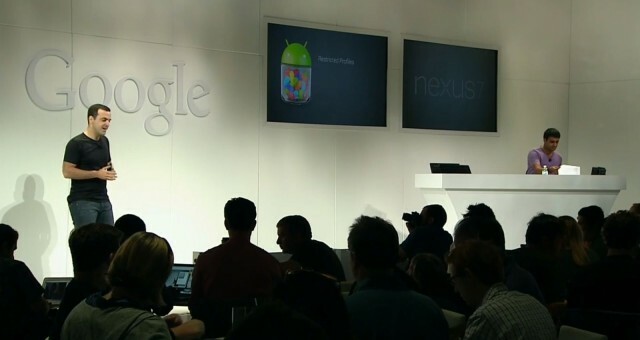 Google just announced Android 4.3 Jelly Bean at an even in San Francisco. but no word on when googletv gets this, or even 4.2.2, right? At Google I/O in May the news articles mentioned that the GTV Jellybean update was supposed to be rolled out in the third quarter. What does the 3rd quarter mean? Fiscal, calender? Many companies seem to call the Oct-Dec, 2013 their 1st quarter of 2014! On an unrelated note, now that Chromecast is out does GTV have an even bleaker future? I can't see them supporting both the Chrome OS and GTV for TV. They just seem to be throwing out stuff at random in order to see what will appeal to consumers. The Chromecast device sold well because of the price coupled with the 3 month Netflix gift. Seems like a toy along the Roku stick idea. It certainly didn't inspire confidence in GTV. If anything, people will just see the GTV as an idea that Google has abandoned. Sales for GTV'S might pick up once 4.x is installed and the GTV can gain more app supported. As it is the platform just seems stagnant. I have this bad feeling about things. Hope I am wrong. What does it matter? The Google TV market was flooded with new devices this year, and they all continue to take a beating in reviews due to the same issues. It's not like the Chromecast has faster hardware, streams more media, or has more capabilities ... the expectations are different at $35 and streaming alone is not something that requires a lot of CPU power or RAM. And yet, the fact it wasn't designed up front to be able to do anything you can do with an HDMI cable is troublesome. Miracast should have been added to the GTV in anticipation of it appearing on the first phone. Who knows if we'll ever see it, and it could die too due to lack of support. GoogleTV being proactive? They haven't even been reactive dealing with market changes or online blocking. They have been tree-active. It's my understanding that GTV will support Miracast after the Jellybean update. Wonder if after the Jelly Bean update, the professional reviewers will be giving GoogleTV some positive attention for a change, or if they will just kind of ignore this major update. They seem to always go out of their way to throw-in the comment: "Google's failed GoogleTV" in every article about streaming devices. They never mention that it's great for HDTV internet access though, only that it doesn't get Hulu like AppleTV and it "isn't easy to use." Duh! "it does more." Isn't as easy to use is a big problem for Google TV since the market is primarily interested in ease of use. I don't have a feel for what the Jelly Bean update will do for the ease of use issue but Google TV is already far better than Apple TV and Roku for my needs and the gap should get bigger. If the device becomes easier to use that might help with the big picture, the product needs to succeed if it is going to continue to evolve and get better. I am hopeful the Chromecast update will be big selling point. Why would the Chromecast dongle do anything but hurt the GTV? The GTV has sold very few units and hasn't been able to convince streaming companies that it is worth their time. I really like my Sony GTV units but no one else at home will dare operate them unless I am around. On the other hand the ATV, Roku and even XBMC of all things doesn't scare them. Unfortunately Google TV appeals to people who like to fiddle with things. It is simply too complicated and too inconsistent in the way its GUI works. The very least it could do would be to have a consistent way of exiting apps and running videos. In my opinion it is trying to do too many things. I am not convinced of the value of a browser on a TV and it is odd that Hulu+ still does not have an app for it. If I were a betting type I wouldn't put anything on the GTV lasting much longer, especially if that dongle evolves and becomes popular (without the 3 month Netflix bribe). The GTV needs to get 4.x fast, a working AirPlay like solution and a simplified home page. It should deemphasize the browser and get apps for all the major streaming players. The price has to drop, the unit made simple and Google has to indicate what's up with its dual OS experiment. Basically, Google has to believe in the GTV something I suspect even they don't. They have played the GTV card worse than even Microsoft with Windows RT. I hope so, but I'm also concerned with its reliance on WiFi Direct. It would be a waste if we couldn't stream from (for example) Slingbox on our Phone and send it to a TV using Miracast. I definitely see the value of a browser on a PC, but you're correct they shouldn't be leaning on it for content delivery as much as they do unless they can make it completely transparent. Short of that, they need more Apps, and we've got to hope JB support will help that happen. Anyway, I agree with pretty much everything you said, but I think the downfall of the device is that we expect GTV to be like an Android tablet for our PC, but because Android is designed around a touch screen and not a remote control, everything breaks down. Chromecast addresses that issue head on by requiring a touch screen device. That's an answer, but not necessarily the answer. One answer may be to change the Android development tools such that an App designed to work with a touch screen will seamlessly work with a remote control. For instance the ability to scrub forward or backward in a video by dragging the progress indicator should be trivially tied to the rewind/fast forward/skip buttons on the remote without requiring the App developer to perform custom coding. This is something that could happen if GTV ever catches up to JB and beyond. Why would the Chromecast dongle do anything but hurt the GTV? If you are responding to my post, I didn't say Chromecast dongle, I mentioned Chromecast update to Google TV, once it doubles as a Chromecast device that could help it sell. Well, there's really no reason for Google -not- to support GoogleTV. The Microsoft WebTV and MSN-TV2 lasted 14 years without any OS updates and just some software tweaks; and that was with a small but devoted "usership;" "no one" was really buying the box beyond this certain initial user-base. The MSN TV2 was Internet browser/Flash-upgrade obsolete almost as soon as it came out. I don't understand the professional review articles that are always suggesting that if GoogleTV boxes don't start selling better soon, "it's all over for GoogleTV." Uh, what's the hurry? So, Google really doesn't need GoogleTV boxes to be flying off the shelves in order to support it in the first place. It's not even a loss leader, as Google makes money on advertising, not a subscriptions or box sales. Google doesn't even have to pay for customer service call-in centers. Plus, Google has more cash flow than some countries. On the other hand, Google is updating and working to improve GoogleTV. They dumped the 1st generation boxes and moved on. GoogleTV has some unique features that may eventually become more appreciated after the mainstream market starts thinking more in terms of TV/internet integration after, say, the success of Chromecast, upgraded AppleTV, etc: interest in one product can lead to interest in other, similar products. Bottom line, GoogleTV boxes with the Jelly Bean update, Chrome 26, updates every six weeks, cable overlay, built-in Chromecast, Miracast support and all the android apps, a GoogleTV box will do everything any other device can do plus a lot more. That's a substantive product that Google isn't about to just throw away. Well, there's really no reason for Google not to support GoogleTV. The Microsoft WebTV and MSN-TV2 lasted 14 years without any OS updates and just some software tweaks, and that was with a small but devoted "usership;" "no one" was really buying the box beyond this certain initial user-base. The MSN TV2 was Internet browser/Flash-upgrade obsolete almost as soon as it came out. So, Google really doesn't need GoogleTV boxes to be flying off the shelves in order to support it in the first place. It's not even a loss leader, as Google makes money on advertising, not a subscriptions or box sales. Google doesn't even have to pay for customer service call-in centers. Plus Google has more cash flow than some countries. On the other hand, Google is updating and working to improve GoogleTV. They dumped the 1st generation boxes and moved on. GoogleTV has some unique features that may eventually become more appreciated after the mainstream market starts thinking more in terms of TV/internet integration after, say, the success of Chromecast, upgraded AppleTV, etc: interest in one product, can lead to interest and other similar products. Bottom line, GoogleTV boxes with the Jelly Bean update, Chrome 26, updates every six weeks, built-in Chromecast, Miracast support and all the android apps, a GoogleTV box will do everything any other device can do plus a lot more. That's a substantive product that Google isn't about to just throw away. 1) Microsoft kept MSNTV going for the subscription revenue. 2) It's not so much of "what's the hurry for Google" (if it takes a long time for GTV to catch-on) - but rather the hardware partners. IMO the hardware partners shoulder the brunt of the risk with GTV. So while Google might not be in any hurry to give-up on GTV - the hardware partners could be another story. If Google produced a Nexus GTV box then they could take their sweet time. *Note: I have seen Logitech criticized on the Forums for giving up on GTV too soon. However based on the sales figures for second generation GTV devices thus far - Logitech is looking very smart to have dropped out of the GTV game. It might change after the Jellybean update - we'll see. Remember GTV only sells in any meaningful way at less than $100. Profit margins are very slim. So at these prices more units must be moved to make it worthwhile for the manufacturers. Google has little risk invested in GTV other then a small amount of research & development. Google certainly doesn't spend much of anything to advertise GTV. They leave it up to the 'poor-ol -hardware-partners'. Plus Google reaps the monetization of GTV through Google Play Store sales, YouTube sales, advertisements, etc. The GTV hardware manufacturers don't reap these same benefits. By the way - Roku also monetizes much of the price for the Roku box - and essentially makes peanuts on the hardware. So in a price war - Roku/Apple-TV could essentially squeeze GTV hardware partners out of the game. i know that. That's what I was talking about when I wrote this: "So, Google really doesn't need GoogleTV boxes to be flying off the shelves in order to support it in the first place. It's not even a loss leader, as Google makes money on advertising, not a subscriptions or box sales. Google doesn't even have to pay for customer service call-in centers. Plus Google has more cash flow than some countries." i know that, but didn't include every possible aspect. They could make their own box if they need new hardware or at least one of the manufacturers could make it. That doesn't see to be a problem at all. It's worthwhile for the manufacturers to be associated with Google and where these technologies will lead. It isn't just the GoogleTV box that they're interested in. Google has little risk invested in GTV other then a small amount of research & development. Plus Google reaps the monetization of GTV through Google Play Store sales, YouTube sales, advertisements, etc. i didn't say they didn't. But I'm pretty sure that I mentioned advertising. I didn't feel a need to mention every possible aspect. The GTV hardware manufacturers don't reap these same benefits. By the way - Roku also monetizes much of the price for the Roku box - and essentially makes peanuts on the hardware. Also, the subscription for an MSN box was $9.95/mo in 2001 when I first got one, and the rate was still $9.95 in 2013 when I cancelled it. They couldn't justify an increase because of the lack of proper, keep-pace upgrades, but they kept the service gong all those years, anyway, even without box sales. That's the point. It's doubtful that Google's too concerned with their box sales, with regard to keeping it going.